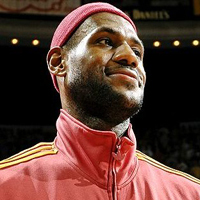 The wait is over, the anticipation has fizzled out, the decision has been made: LeBron James is heading for the heat. The Miami Heat that is. James made the official announcement that he would be leaving the Cleveland Cavaliers to join Dwyane Wade and Chris Bosh in Miami. But along with a new team comes a new city, and, inevitably, a new house. James’s move is causing a stir among Miami real estate agents and area contractors, with rumors already circling about possible offers made by the NBA star. While most of those rumors were found to be false thus far, the truth of the matter is that James will now be searching for a new house, having a major impact on home buying and contracting in Miami. It’s no secret that the sandy beaches of Miami are far from the modest suburban neighborhoods of Akron, Ohio—James’s hometown. And just as the environments differ, so do the housing markets. On average, the listing price for a home in Miami stands at $454,138, which is much lower than it was a year ago. However, Akron boasts a far more reasonable average of $140,912. When James began his career in Cleveland, he purchased a mansion in Bath Township, northeast of Akron, where he hired local contractors to remodel and redesign the home to his specifications. He ended up with a 35,000 square-foot home that cost him $2.1 million. In Miami, that amount would barely get him a decent condo. The beach-front properties being promoted for James are listed at prices as high as $29 million, and the plots of land don’t even come close to the space he had in Ohio. For those who are not All-Star athletes looking to purchase a mansion, prices in Miami and Akron are decent for a standard home. Miami’s location and commercial appeal make for some pricier homes, but local real estate agents and contractors can help find buyers the best places for their budgets. While the home buying prices may be higher in Miami, the income tax is non existent. Florida’s lack of income tax will save LeBron James an average of $10 million with the Heat. He would have to pay up to $5.7 million to Ohio. It’s probably not the reason LeBron James decided to skip out on the Cavs and head to warmer climates, but it definitely makes the deal a lot sweeter. With that extra money, James can afford to shop around for a mansion well-suited to his kingly lifestyle. And if the home he picks needs a little tweaking, there are plenty of reliable Miami contractors waiting to do his bidding. Even though Ohio has an income tax, it is much lower than other states in the country, so homeowners in Akron or Cleveland shouldn't fret. Still, Florida’s situation is a lot more appealing to many who want to avoid taxes all together. Another plus to having a home in Miami: the weather. With the average low in January being a balmy 59.6 degrees—a heat wave for Ohio during that time of year—it’s easy to see why Miami is such a popular destination. The favorable weather allows homeowners to relish in some lavish amenities such as sunrooms, swimming pools, patio bars and grills, boat docks, and major workout facilities (perfect for keeping up on the LeBron James workout regimen). Of course, not all Miami properties include these features, but for those who can afford it—like King James—a home contractor will gladly assess and construct any desired addition. Another thing that James, or anyone looking to move to Miami, needs to consider is the hurricane threat. Houses built by the water are battered every year by torrential downpours and high-force winds. To prevent major damage to costly property, homeowners need to look into construction techniques that are better suited for hurricane zones as well as installing impact-resistant glass. These are minor issues for LeBron James to consider as he begins the move to his plush new digs, because despite the hurricanes, the tropical climate of Florida clearly eclipses the temperate weather in Akron. James has opted to leave the dreary weather of Ohio for the sun and fun of Miami; and even though he created an idyllic palace in Akron, there are plenty of mansions awaiting him in Florida. While James will get his pick of home contractors and real estate agents bidding for his business, everyone else looking to upgrade their living space will need a little more help. So, whether you live in South Beach or Northeast Ohio, feel free to discuss your home remodeling plans with a contractor from the SignatureForum network. Consultations are free and every professional in our network is a guaranteed all-star with no intentions of signing elsewhere.